This month, our chronicle shows such a web application the interior designers and real estate agents will appreciate peculiarly. A room atmosphere is not just a matter of its shape or of its geometry, it is not just a matter of the way doors, windows and walls organize its space. The luminosity, the way the light sets in a space, embraces geometry is also most important and this is the reason why the choice of colors and materials, which means therefore the choice of textures and brightness due to each material, has great consequence on a room atmosphere. Our web app helps to make that choice and to realize immediately what kind of ground is in harmony with a certain wall color or not. 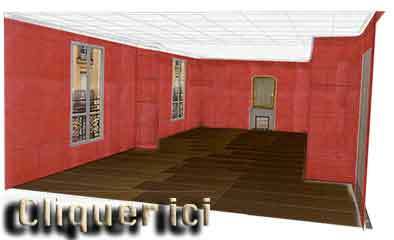 You can add or take out the grids showing the 3d perspective of the room and, by clicking on the feet on the left of the room, you can also walk through the room thanks to a short animation.